THIS... is about to be the final season of American Idol. 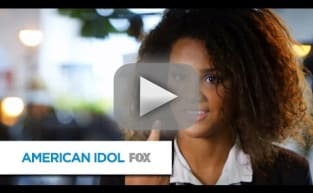 With Fox having announced over the summer that its long-running music competition will sign off for good following its upcoming season, the network has now unveiled its first promo for the final season of American Idol. It takes us back through the years to some memorable auditions and some memorable judges (hi there, Simon Cowell!) and it's set, of course, to a Kelly Clarkson smash hit. But the most unexpected event takes place toward the end when Kanye West strolls in to audition. Much to Jennifer Lopez's surprise. Fox has said that every judge will return at some point for the final season (please tell us Nicki Minaj and Mariah Carey will once again share a screen!) and you can bet pretty much every famous contestant will also make a return appearance. We can only imagine just how huge a deal Fox will make out of the final America Idol season of all-time. For good reason, really. This show was a reality television trailblazer.